It all started over 3 years ago when co-owners Oscar Lee and Chef Ten decided to follow their culinary dream – opening a ramen shop. They wanted to challenge the typical ramen restaurant by infusing their Malaysian heritage into an umami-filled menu of home-cooked Asian comfort food. Countless hours went into all the details. From selecting a logo design, to choosing the tastiest menu items, and deciding on the perfect location to call home. The one thing they knew for sure was that they wanted the shop to be fun, loud and serve darn good food, but they couldn’t quite decide on what to name this magical place. After playing around with various word combinations, in English and Japanese, some of the close runners up for the perfect name were: Rekk-it Ramen, Kravin’ Ramen, Yen Ramen, and K.O. (Knockout) Ramen. Finally, the word “ejji”, which is the japanese word for “edge” came up. ‘Ejji’ means pushing things to the edge and it was the exact word they were looking for to describe their food. 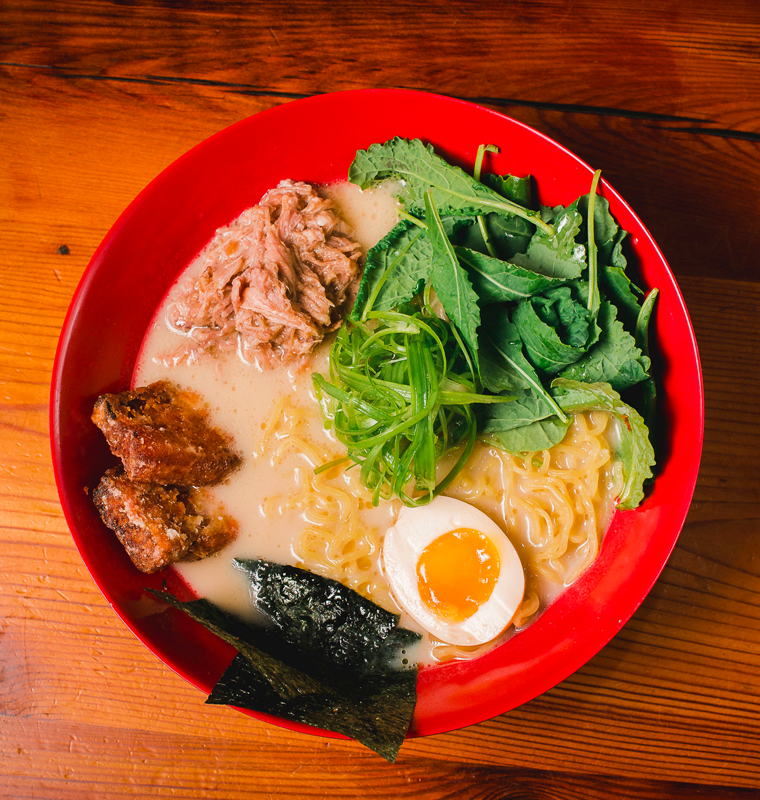 Although serving authentic food was a priority, they didn’t want the restaurant to be known as a traditional Japanese ramen bar, and wanted to do things their own way. So, the decision was made. This ramen restaurant would be called Ejji Ramen. Ejji Ramen has come a long way. In fact, Ejji will be celebrating its 4th Ejjiversary in October! 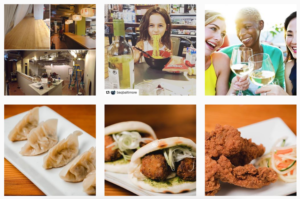 The restaurant is now living comfortably inside of the Belvedere Square Market. Ejji Ramen has friendly customers who have been wonderful supporters from the day of opening and new ramen-enthused fans joining the fold daily. If you want to “be in the know,” you can sign up for the Ejji newsletter. You’ll be sent updates on everything Ejji. Plus, you’ll get exclusive promos and deals that are only available to Ejji newsletter subscribers. Click here to sign up!